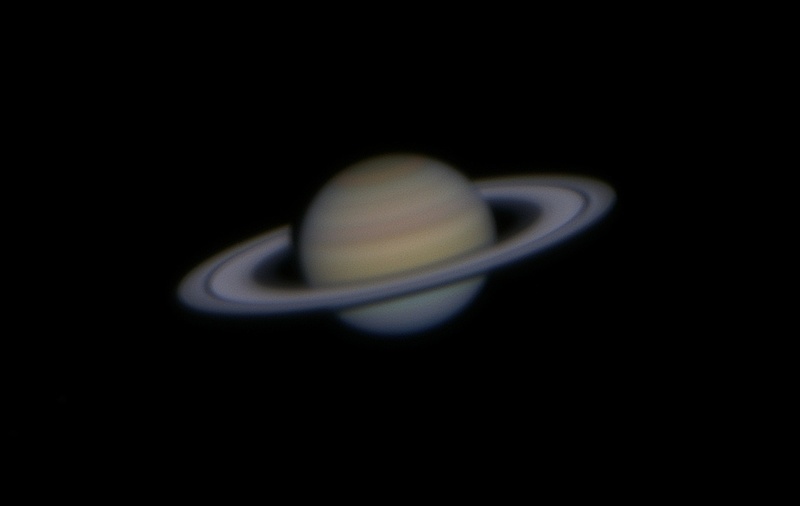 Regular blog reader James C Wallace II sent me this amazing photograph of the planet Saturn, which he took after I chose Saturn as The Bad Witch's God of the Week last week. "In honor of your mother and your choice of Saturn as your God of the Week, I will fire up my Meade LX-200 10" telescope, attach my Olympus OM-1 and point it towards western Virgo, just a couple of degrees below Denebola, the second brightest star in the constellation Leo the Lion, where Saturn now resides. "It reached opposition on March 21st, when it was at its closest point to Mother Earth. Weather permitting Saturday night after midnight, I will take a picture of Saturn and send it to you sometime early next week. I don't do digital, so analog takes a little time to get developed, though the results far outweigh the rapidity of digital." Then, yesterday, James sent me the beautiful picture you can see above and wrote: "Attached is my effort from Sunday morning, March 27, 2011 (1:03-12am EDT). This is what we call a stacked image. It is a composite of three filtered images, each one in either red, blue or green. Each exposure is 5 seconds at f/20 on a Meade LX-200 10" Schmidt-Cassagrain telescope. I still use analog film, Kodacolor 400, then I scan the negatives into a digital file (that's as close as I'll get to digital imaging), which makes stacking much easier. From there, it's a simple matter of compositing, some unsharp masking and a mild adjustment to contrast and... voila! Saturn!!! "I hope you like it. I thought of your mother as I took it, though we've never met before." I do like it - very much indeed!